The National Defense Authorization Act (NDAA) of 2016 ended the Reserve Educational Assistance Program (REAP) on November 25, 2015, for new school enrollments. 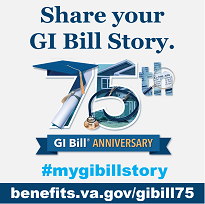 As a result, the Department of Veterans Affairs (VA) can no longer grant REAP eligibility to anyone not enrolled in school as of November 24, 2015, or during their school’s last term, quarter, or semester ending prior to that date. VA may continue to pay benefits to most individuals, so work study supervisors should continue to certify and submit timecards as normal. VA will evaluate all certifications to determine continued eligibility. What Type of Work May I Do? You may elect to be paid in advance for 40% of the number of hours in your work-study agreement, or for 50 hours, whichever is less. After you’ve completed the hours covered by your first payment, VA will pay you each time you complete 50 hours of service OR bi-weekly, whichever comes first. The work you actually do will depend on your interests and the type of work available. You can download a copy of the application form HERE. You can also contact the Regional Processing Office which handles your claim. To locate your Regional Processing Office click here.